Digi Lab is a digital art and technology symposium, hosting a range of artist Q&As, panels, presentations and live demonstrations. The event explores the links between creativity, whether it be musical, technological or philosophical, in a discursive and inviting context. 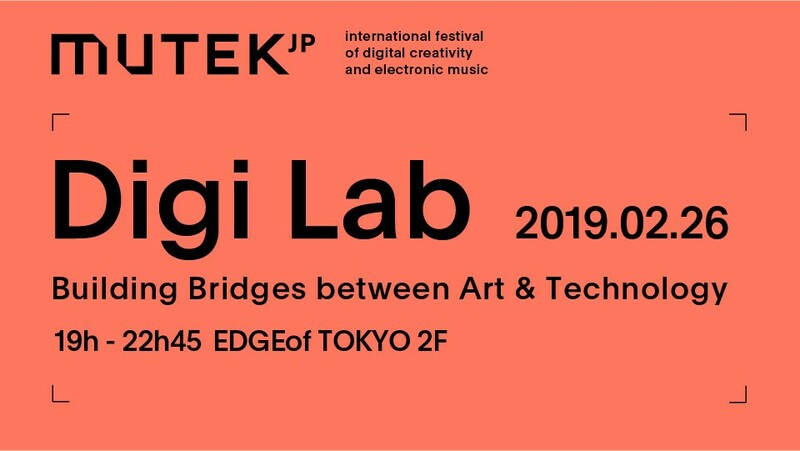 Digi Lab thus offers unique opportunities to hear directly from artists and creators, inventors, technologists and industry professionals. In collaboration with Digital Choc and Media Ambition Tokyo.